Have you been wanting to to beautify without putting a dent in your wallet? Treat yourself with these 8 do-it-yourself hacks that will leave you feeling refreshed and recovered from head-to-toe! Mix the two ingredients together and in a small bowl, Then, using your fingertips, massage the mixture onto your lips for a minute. Then, let the mixture sit on your lips for 5 minutes and wash it off. The sugar will exfoliate your dry lips while the olive oil moisturizes them! Boil the carrots so they are soft enough where you can mash them with a fork. Next, add in the avocado, honey, olive oil, lemon juice and egg yolk and mix until it creates a paste. Apply the mask to a clean, dry face and let it sit until dry. This mask contains antioxidants, potassium, protein and natural oils that will tone and moisturize the skin will also delivering anti-aging effects. Place all of the ingredients into a blender and blend until the mixture turns intoa paste. Apply the mask to a clean, dry face and let it sit for 15 minutes. 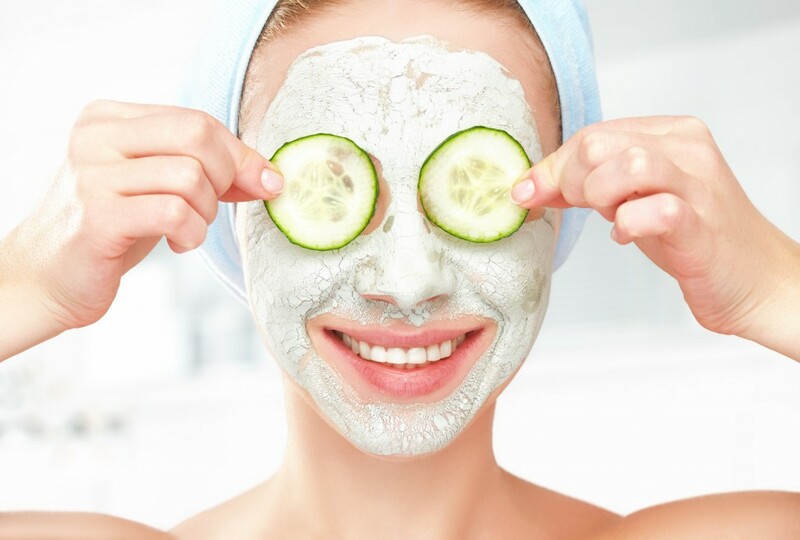 This mask is great for oily skin because cucumbers are a natural astringent that will help cleanse the skin, tighten pores and get rid of excess oil while oatmeal will calm the skin. Stir the honey and olive oil together in a bowl until well-mixed. Then apply the mixture to either dry or wet hair and let it sit for 30 minutes. After 30 minutes, simply wash out the mixture and gently dry. This hair mask is a great way to repair and moisturize dry, damaged hair. Brew 1 cup of green tea, then soak cotton balls in the tea. Once well-soaked, place the cotton balls on your eyes while you lie down and relax. After ten minutes remove the cotton balls and rinse your face with cool water. The caffeine in green tea will help shrink the appearance of blood vessels while the antioxidants in the tea with reduce inflammation. Use a q-tip to put a drop of toothpaste on pimples. Let the toothpaste work its magic overnight, then rinse off your face in the morning. With its antibacterial properties and ability to remove oil, mint toothpaste will help dry out the blemish. Mix all of the ingredients in a small bowl together until you create a thick, sticky paste. After wetting your face, massage the scrub onto your skin for 45 seconds to a minute and a half, then rinse. Oatmeal is loaded with anti-inflammatory minerals that will help to smooth the skin, while the coconut oil moisturizes it. Additionally, honey acts as an antibacterial agent and will help to clarify your pores. Using a blender or a wooden spoon, mix all of the ingredients together until they create a pastey, scrub-like texture. In the shower, scrub your body from head to toe. The salt and sugar will exfoliate your skin as the coconut flakes and oil moisturize. The best part? Coffee will help stimulate blood flow to help reduce cellulite and tighten your skin! Don’t break the bank! Make a quick run to your closest grocery store, stock up, and create your own at-home spa in no time! This entry was posted in Beauty and Product Tips and tagged body care, DIY, face mask, lips on April 27, 2016 by TeamBooya.